The United States Secret Service is the law enforcement division of the Department of Homeland Security since March 1, 2003. Before the United States Secret Service belong to the United States Department of Treasury. 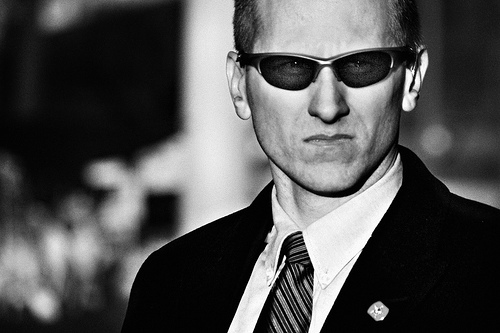 The U.S. Secret Service enforces laws that involve coins, currency, obligations, and forgery. President William McKinley was assassinated in 1901 causing the U.S. Secret Service to be in charge with protecting important people that include the president, the vice president, the candidates for president and vice president, the presidents and vice presidents families, former presidents, former first-women, and widows or former presidents until their death or remarriage. The Secret Service also provides protection to important visitors to the United States. The special agents normally wear a business suit with sunglasses and an earpiece to communicate with other special agents. Former Presidents used to get lifetime protection from the Secret Service but now whoever is entering office after January 1, 1997 will only get protection for the fallowing ten years after the president’s term is over.